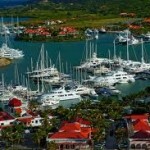 One of the best located, unique and well catered for marinas in the Caribbean ! 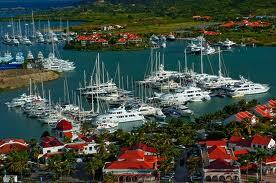 IGY Simpson Bay Marina is located within the lagoon which means navigating your yacht through the Simpson Bay bridge. St Maarten is often referred to as the epicentre of the Caribbean due to its Internaional airport, extensive marine services available and catering facilities. IGY Simpson Bay provides an ideal berth for turnarounds, short term or guest transfer point, the well equiped marina is complete usual shorepower, water and security facilities but more notable is the Jimbos’ bar and cafe with a swim up bar, sun lounges and tropical landscaping. The marina is centrally located with restaurants, shopping and groceries all within walking distance, nearby is also the famous ‘Lady C’ floating bar or the ‘Simpson Bay Yacht Club’ to enjoy a cold beverage at bridge o’ clock and watch the large super yachts navigate the tight entrance into the lagoon. The marina features 24 hr. security, Wi-Fi internet access, charter options, dive shop, marine chandlery, provisioning, concierge services, full service high speed fueling for diesel and gasoline, modern secure showers and rest room facilities and laundry. 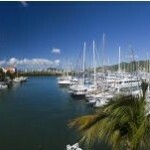 Within the marina area or just steps away, guests can access many other highly regarded services to enhance their ideal yachting lifestyle including pharmacy, banking, yacht brokerage, real estate, medical and dental center, convenience stores, boutiques, tennis courts, beauty salon, spa, business services (mailbox), dry cleaning, plus many restaurants, shops and bars. The marina is located just a few miles from the newly modern built Princess Juliana International Airport and French & Dutch Duty Free shopping abounds everywhere as the island is both duty free and a tax free port.